I'm pretty sure our arena is the last frozen, snow covered place in the entire region. That's both a good and a bad thing. Bad because Bridget's got energy to burn and is reverting to her pushy pony ways. I find it easier to problem solve those things in the arena where I have space to work on it. On the other hand, being forced out of the arena is a positive because Bridget is easily bored and I should get her out on the trails more than I do. We got out a few times this past week. A couple of times solo, once with my husband hiking alongside, and once with an unexpectedly big group of people. The ride with a bigger group was a bit of a challenge for many of the horses, Bridget included. 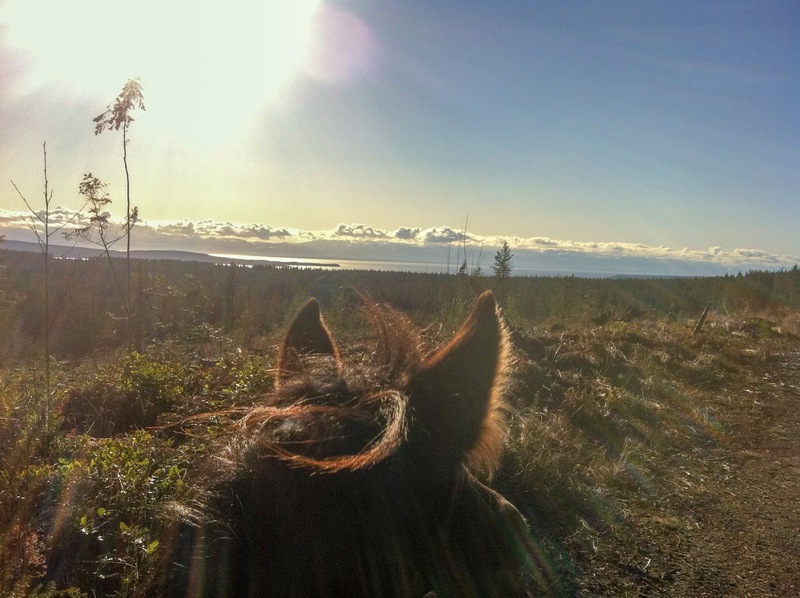 Everyone has a different "normal" when they're out, so while some horses were used to the loose dogs accompanying us, some found that new and exciting. The mini that tagged along caused a few horses to look twice, and couple of the overexcited younger horses had a chain reaction effect on most of the others. 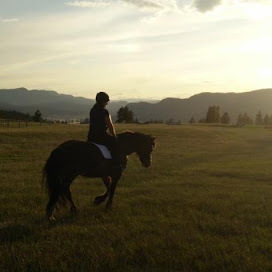 For us, we spend a lot of time hacking solo or in a small group, so B was a bit intimidated with all those other horses. (She's a funny thing...antisocial and independent so she's brave and happy on her own, but gets anxious if she feels crowded in a larger group) As a whole, there was some pretty big, chaotic energy going on, and the experience in handling that was varied. B is a really solid citizen, and even though she didn't put a foot out of line, the feedback I was getting from her was that she was stressed and unhappy. She felt claustrophobic and wanted to be out in front, away from it all. Unfortunately circumstances meant we compromised on staying behind in our own space, but we still ended up waiting and being crowded and bumped more than she'd prefer. And so, I was super proud of her for listening, keeping a lid on it, and being the good girl she is. I love that she's cool with expressing her opinions, but trusts me enough to keep the conversation a two way one, even when the situation I've put her in isn't as fair to her as it should have been. Second thought...Everyone who says "oh he's JUST a trail horse" or "I'm only a trail rider". Give yourself more credit! Beyond all the training they need to be solid citizens out there, I'm not sure there is any other riding activity where your horse is going to have to deal with quite so many random things, usually completely out of your control. 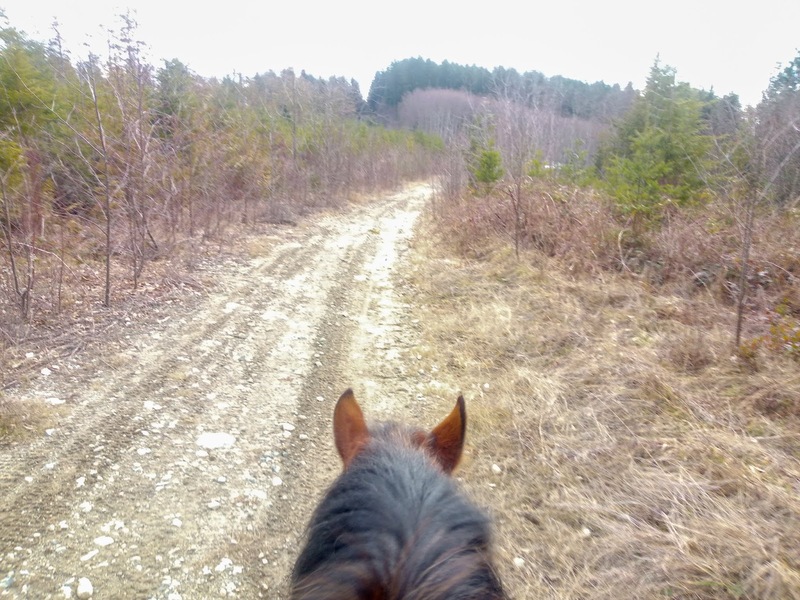 Whether it's wildlife, loose dogs that aren't horse savvy, other horses acting up in close quarters, people on motorbikes zipping by unexpectedly, trails being blocked, whatever. I take my job of keeping Bridget confident and happy very seriously and as much as we love the trails, it's the most common place we go where the normal expectations don't apply, usually either due to random bad luck or unintentionally ignorant shared trail users. I'm glad we have a partnership that allows for us to successfully navigate it all, but I'm not kidding when I say there are days when hitting the trail is a far bigger challenge than eventing or dressage ever was or is for us. 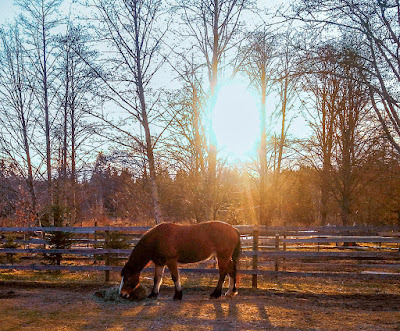 The German word for pleasure horse translates literally to "free-time horse" which seems even more insulting than pleasure. There are a few trailers locally that have the "show horses" caution sign on the back. 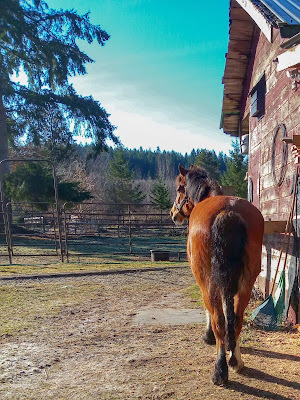 It's in bad taste, but I joke with my husband "oh its because other trailers just have normal horses in them and everyone knows those are fine to rear end!" AMEN! So many show horses spend their lives in the ring and 'can't even' on the trail - it takes a lot of time and trust to make a good trail horse. 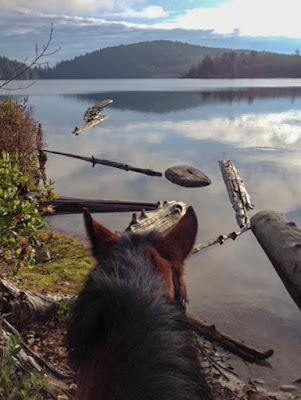 I'm thankful Dino is like Bridget - a trusty trail horse! 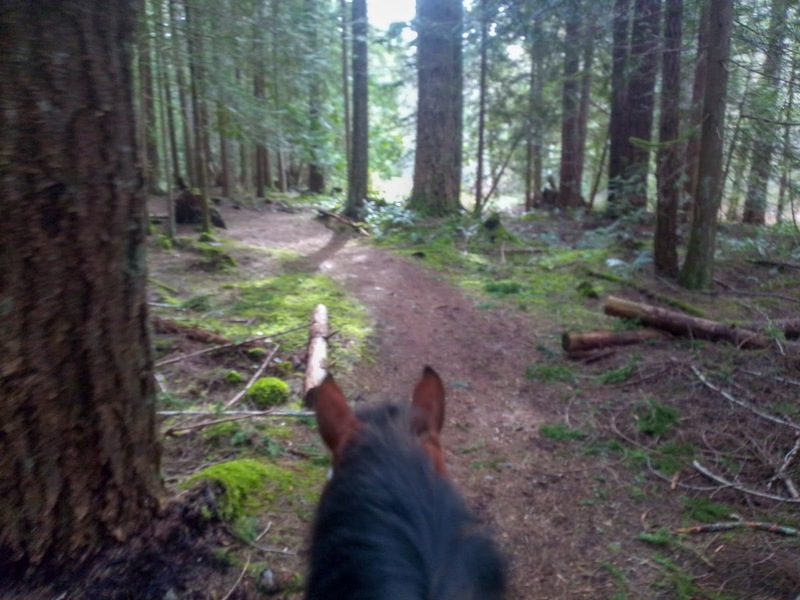 I might keep a tally of hours with Sophie...I feel like with Bridget I put just as many hours in getting her solid on the trail as I did in the arena. Yeah, I'm definitely guilty of using the term "just trail riding," but I *definitely* don't mean it in an offensive way. 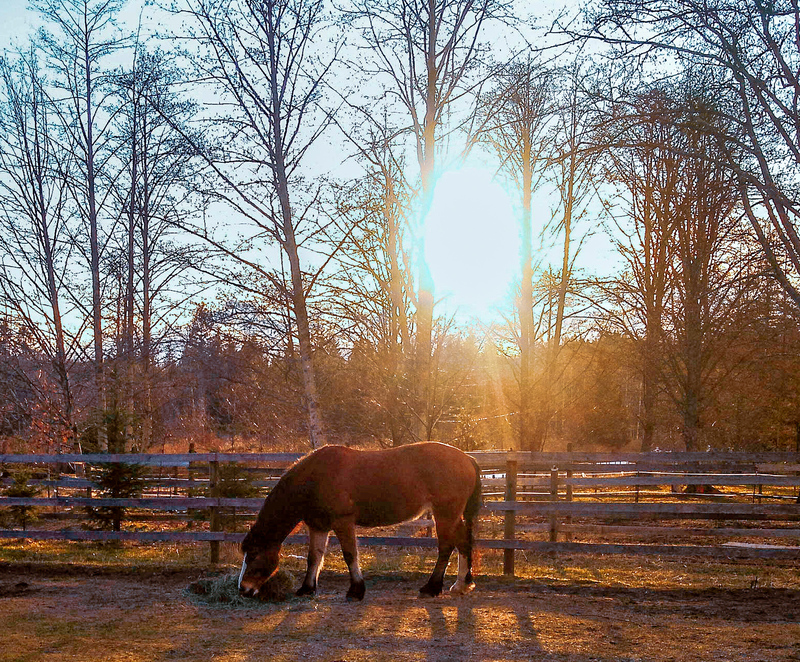 Trail horses tend to be some of the most athletic, intelligent horses out there. Good for B for being such a good girl in a stressful situation! 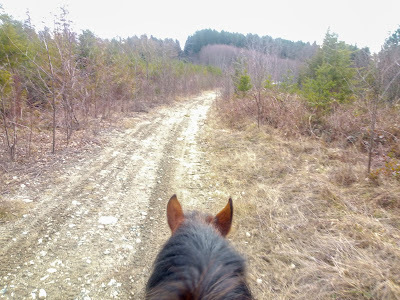 I always say I'm "just" going for a trail ride :) I think because we're at a point where most of the time it's a pretty chill, relaxing outing and I'm on autopilot. The tough days, though, seem to be really tough and always serve to remind me just how much they really need to know. 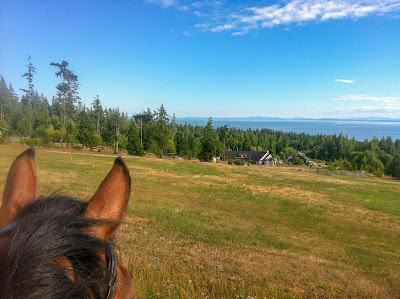 Our trails are usually too steep or rocky to do much more than walk, which sometimes I feel is a challenge in itself with a hotter, anxious horse. Charlie is such a star, can't wait to see what you get up to thus year! wow... those between the ears shots are beautiful!!! our outdoor arena is still full of snow too... sigh. and i agree with you - our "trail riding" is more than just plodding along hah. There are days I miss the prairies and the nice open spaces...Our trails can get so technical in BC! Fingers crossed the arenas all melt soon!